 At Porters Barbers, you can get a precise shave from any of our experienced barbers. Have a traditional wet shave at any of our London locations, and experience our nostalgic homage to the golden age of barbershops. You’ll be able to sit back and relax as our barbers turn the grooming process into an art form. Our shaves always begin with a chat. Our barbers will ask you about your preferences, take a look at your skin type and suggest the best approach for you. The first step is usually either hot towels or steam, to begin to soften your beard and skin. This makes the rest of the treatment much more comfortable. Once your skin is nicely relaxed, our barbers will begin the shaving process using the traditional cut-throat razor. With an impeccable technique and a steady hand, our barber will give you the closest shave you’ve probably every had. There’s nothing quite like it. After the shave, we’ll finish the process by rubbing a moisturising balm onto your skin before giving you a shoulder and neck massage. Did you know that a traditional wet shave using single razors has particular benefits for your skin? For example, you’re less likely to end up with ingrown hair with a single razor than a double or triple one. After your shave, we finish off with the best lotions. They’re all natural compounds that are excellent for your skin. Our barbershop isn’t just about providing a service; we also want to give the experience. Every Porters Barbers location in London is designed to take you back to a more elegant age. With our beautiful interiors, comfortable vintage barber seats and our competent staff, we’ll give you a traditional shave and barbershop experience like nothing you’ve experienced before. Porters Barbers brings the traditional barbershop into the present day. In decades past, barbershops played a crucial, understated role in men’s lives. The barbershop was the safe place to unwind, get your haircut and find good conversation. That’s been our inspiration at Porters Barbers. We bring the same traditional experiences to 21st century men looking for modern grooming services. Our locations in London are available for appointments and walk-in clients.